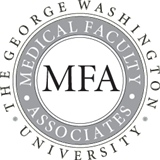 GWMFA Ophthalmology (Washington) - Book Appointment Online! Professional, explained all the tests in just enough detail. Great manner and I am already referring colleagues and friends....and I am in the health care standards business! As usual. Very professional, & personally friendly visit. Excellent. Everyone was professional and kind. I always feel reassured (like I am getting excellent care) when I come here.